At St James’s we aim to stimulate pupil’s interest in the world around them and to foster a sense of wonder at the world around them. We aim to inspire our children to gain curiosity and fascination in the world around us by providing them with a diverse knowledge of places, people and resources. Thinking and enquiry skills are developed from an early age. In the Early Years the children discover physical and human features of their immediate environment through a variety of outdoor learning opportunities. Children participate in fieldwork activities throughout the key stages, from which they are able to collect, analyse and communicate data that deepens their understanding for geographical processes. 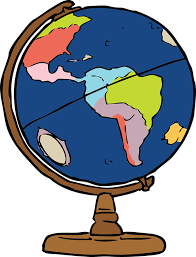 In KS1 and KS2 the children expand their geographical knowledge and understanding by focusing on human and physical features of places further afield and in other countries and continents. This enables them to deepen their understanding of the interaction between physical and human processes, and of the formation and use of landscapes and environments. An important element of geography is the study of the environment, our impact on it and what we can do about sustainable development.